Forklift drivers are usually focused on the task at hand – moving cargo, organizing shipments and generally making warehouses, docks, distribution centers, and other commerce areas run smoothly. Automation. With all the talk about robots and automated processes implemented by different companies, where does that leave people-operated forklifts? Analytics. Every company strives to make their operations as efficient as possible. And firms that employ forklift operators are no different. But how efficient is too efficient – and how will analytics and efficiency metrics affect the forklift job market? Onset of electric forklifts. With improving battery performance, anti-pollution initiatives and other factors, electric forklifts are here to stay. The future of gas-powered lifts is uncertain, but they’ll be here to stay for a while. Technology advancements. Smartphones. Wi-Fi-connected cars. 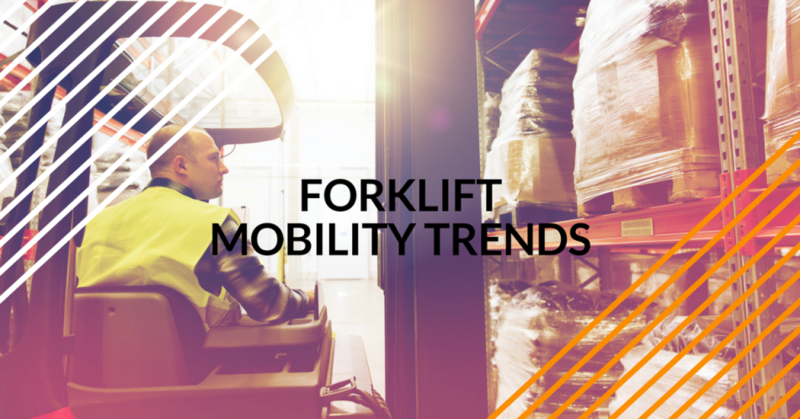 It seems everything these days is tied to technology – including forklifts! We’ll look at some recent developments in forklift technology. The results may surprise you! According to an article in Boss Magazine, the future really isn’t tomorrow with forklifts – it’s right now. Some of the most talked-about trends in the industry have to do with detecting large load volumes before they’re lifted and overall warehouse efficiency. For example, lift scales are becoming increasing popular with warehouses across the U.S. – and all over the world. They help determine if a load is too heavy to lift, which increases productivity and also helps limit breakdowns and accidents due to overloading. Another trend to keep an eye on is smart forklifts (or forklifts of the future). Manufacturers are already incorporating high-tech features like RFID sensors, real-time data collection and other advancements that will help human operators better plan their routes through warehouses, shipyards, warehouses and other cargo-heavy workplaces. More efficient forklifts mean that a powered industrial truck’s footprint – how much square footage it actually uses – is becoming smaller by the day. And just because the required space and footprint are smaller, forklift capability is increasing. Due to more effective methods for managing heat buildup, today’s forklifts (and certainly tomorrow’s) have greater functionality without the necessary increase in tire size! Regardless of how advanced forklifts become, one thing will never change: your employees will require OSHA compliant training. And ForkliftCertification.com, the online leader in forklift safety courses, has a great selection of training modules to choose from. Get started today with any of our training modules to increase worker productivity, decrease workplace accidents and become OSHA compliant. If you have any questions about our forklift training, give FLC a call at (888) 278-8896. Thanks for reading our blog!